Valencia Graduates Working to Pay it Forward! Meet this year’s Mary Smedley Collier Distinguished Graduate – Rebecca Nash! 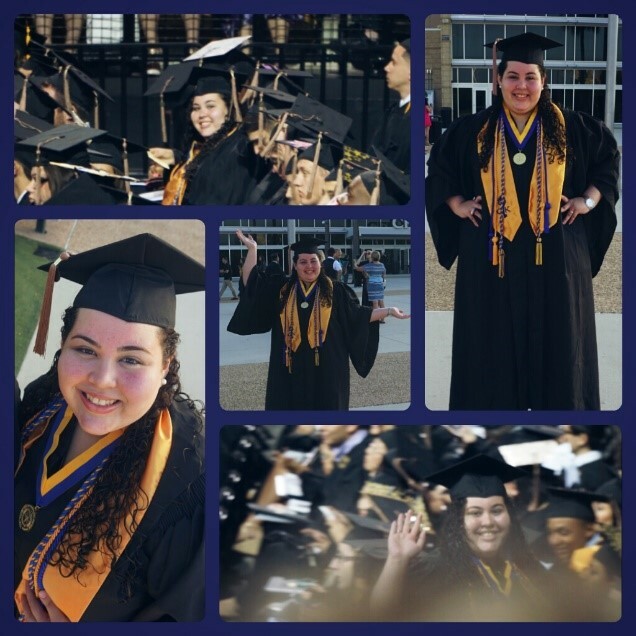 Rebecca and her fellow graduates invite Valencia faculty and staff to help them meet their challenge to raise $5,000 or more before Commencement on May 9th. Their Legacy Class Gift will support future students through scholarships. Please consider joining their legacy with your support! 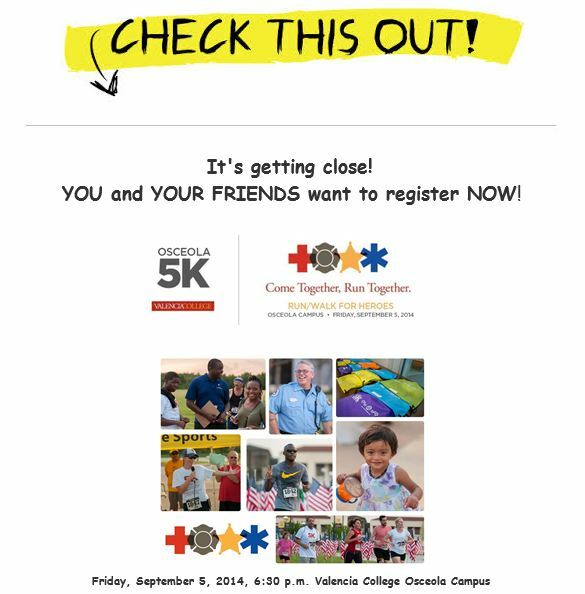 By credit card: Visit http://valenciacollege.edu/alumni/classgift/ . Completely fill out the form, decide a gift amount that is right for you, and click submit. Or by cash or check: Drop off your cash or check donation in any amount at the Alumni Relations office (407-582-3426) in the District Office or mail to: Valencia Alumni Relations, 1768 Park Center Drive, Orlando, FL 32835, or mail intercampus to DO-41. TAKE THE CHALLENGE. LEAVE A LEGACY. 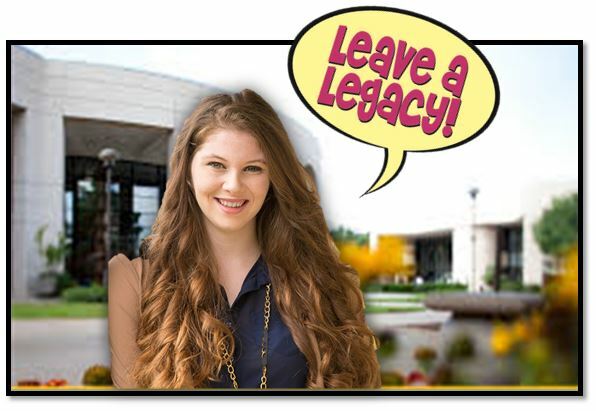 LEAVE YOUR LEGACY! calling for alumni class notes for Vitae magazine! Check out the current edition of the Vitae magazine. lace up for student scholarships! When economic prospects look dismal it’s natural to focus on short-term, rather than long-term, goals. Our foundation board is committed to keeping both horizons in our line of sight so that we can serve today’s deserving student and prepare for tomorrow’s generations. never stand in the way of earning a college education. As you plan for your family’s future, I invite you to use our new web site tools at www.VALENCIAGIVING.org, which may spark some creative thinking about how to maintain your legacy forever. Make a bequest pledge that costs you nothing during your life. Give a contribution that provides you lifetime income. Preserve your estate for your heirs and provide years of income to Valencia. Convert surplus life insurance coverage into an endowment. Donate appreciated securities and realize larger tax savings than if you had used cash. We welcome your feedback on our new online resources, designed to help you chart your charitable intentions, which can be found at www.VALENCIAGIVING.org. If you would prefer, our foundation team would be delighted to meet with you to discuss your philanthropic objectives and to explore how you and your family can benefit. P.S. If you have already made Valencia Foundation a planned giving priority please let us know so that you can become a founding member of our new Legacy Society. Feel free to contact Donna Marino, CFRE at (407) 582-3128 to learn more. Valencia Foundation has launched a fund-raising effort to help first-generation, low-income students pursue a college education. The “First One” campaign takes advantage of Florida’s First Generation Matching Grant Program that maximizes state dollars for students through a dollar-for-dollar match of private contributions. “For first-generation students, a college degree not only transforms their lives, but alters the trajectory of their families for generations to come,” said Geraldine Gallagher, Foundation president and CEO. During the 2011-12 school year, more than 29,000 Valencia students were the first in their families to go to college. The campaign, which lasts from July 1 to August 9, seeks to raise $100,000 in private donations with a $100,000 state match. Students who qualify will be eligible for a scholarship of up to $2,000 to help offset the costs associated with college, including tuition, books and supplies, that cannot always be met with state or federal aid alone. First-generation student and Valencia graduate Donald Gibson shared that he was the first person in his family to graduate from high school, not just college. At a kick-off event held yesterday, first-generation student Donald Gibson, 31, told the crowd assembled that he was the first person in his family to graduate from high school, not just college. After graduating from Poinciana High in 2000, he spent five years in the military and later enrolled in college. “I got my first-generation scholarship right as my GI Bill was running out. If it weren’t for that, I probably would have had to drop out my last semester,” Gibson said. Finances are just one of the obstacles many first-generation students face. Joyce Romano, Valencia’s vice president of Student Affairs, shared the story of a student she met who drove to Valencia’s Osceola Campus six times before she could muster the courage to get out of her car, go inside the building and apply. Available state funds are contingent upon matching contributions from private sources on a one to one dollar basis. The First Generation Matching Grant Program (FGMG) is a need-based grant program available to degree-seeking, resident, undergraduate students who demonstrate substantial financial need, are enrolled at Valencia College, and whose parents have not earned baccalaureate or higher degrees.